A letter from A.J. 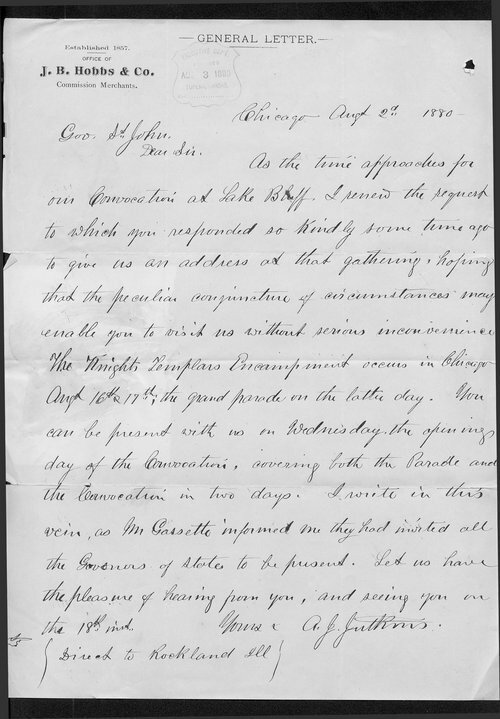 Jutkins to Kansas Governor St. John inviting him to speak at the Knights Templars Encampment convention in Lake Bluff, Illinois. All state governors have been invited to attend.